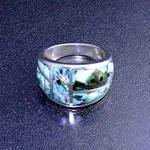 Sterling Silver Green Blue Opal Onyx Ring by Nevada Designer JS. 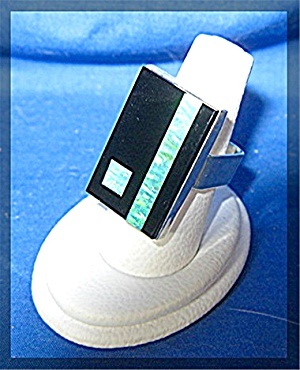 The Ring is 1 1/4 inches along the finger with a square back so it does not slip. The 2 large opals are squared ultra modernistic Designs. It is approx a Size 7 1/2.